"Junior Murvin is of course best known for his massive hit from 1976 - `Police and Thieves' with his falsetto vocal, produced by Lee Perry, that was later to be covered by The Clash. But Junior Murvin had more than one string to his bow and was anything but a one-hit wonder. The superb `Muggers in The Street' was originally released in 1984 and produced by Henry "Junjo" Lawes. It was the first of two albums that Greensleeves released by Murvin. The second being the Prince Jammy-produced set `Apartheid' that arrived two years later. // Originally known as Junior Soul, he started his recording career in the mid 1960's recording for producers Sonia Pottinger and Derrick Harriott amongst others, before changing his name and hooking up with Lee Perry a decade later to record the mammoth `Police and Thieves' album which was released on Island Records. He went on to record for Joe Gibbs and Mikey Dread before landing in the pre digital dancehall era in 1984 with the album in question - `Muggers In The Street'. After the 1986 `Apartheid' album he recorded tracks for King Tubby, Bobby Digital and in more recent times, recorded with some UK and European based labels and producers as well as trying his hand at self-production. He still tours the US, Canada and Europe and has a huge fan base whenever he performs. 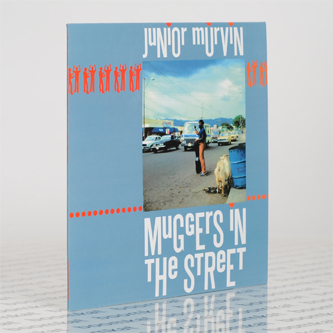 At last `Muggers In The Street' is now released on CD (at mid-price) for the very first time and has been digitally re-mastered in a lovingly presented digi-pack, featuring the original artwork."